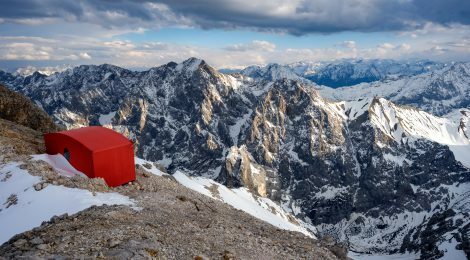 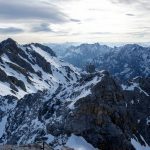 The so called Jubiläumsgrat (Jubi) is a very popular alpine climb near Garmisch in Bavaria. 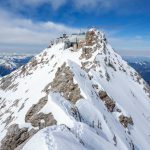 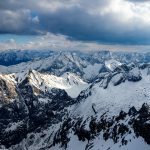 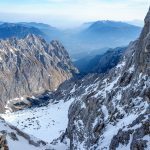 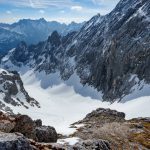 It connects the Alpitze and the Zugspitze by an 8 km long, very exposed ridge. 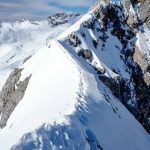 Some parts of the ridge are equipped with a ferrata, but many parts of the ridge have to be climbed without additional protection. 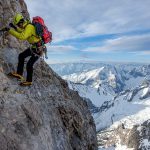 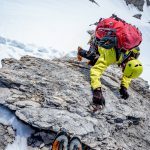 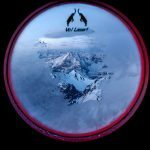 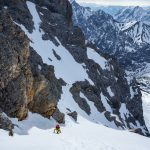 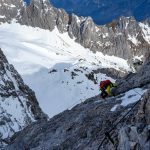 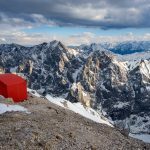 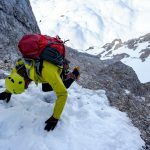 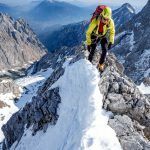 Although the maximum difficulty is only III- (UIAA), the very exposed nature and the length of the ridge make the Jubi a serious adventure. 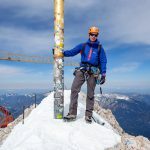 Last weekend Jakob and I decided to do the climb in the direction from the Alpspitze to the Zugspitze. 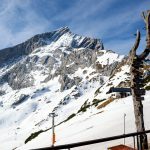 The conditions were very good spring condition, with mostly well compacted hard snow. 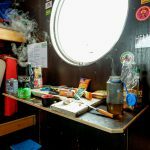 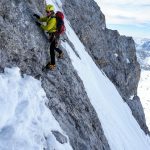 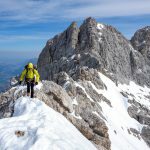 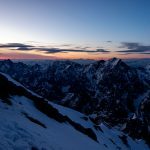 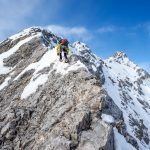 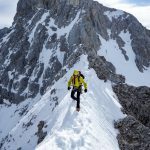 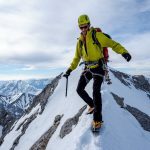 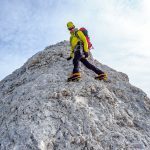 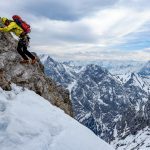 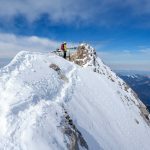 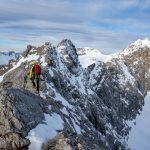 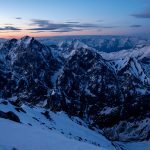 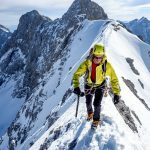 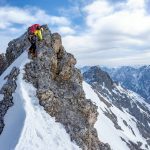 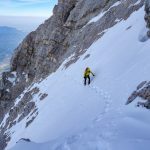 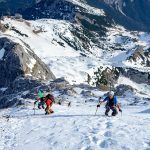 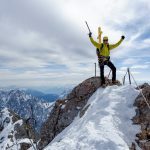 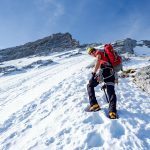 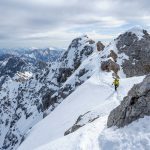 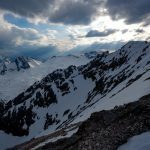 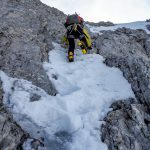 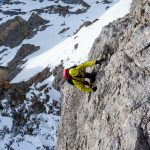 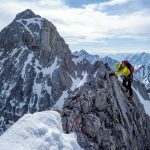 I already did the Jubiläumsgrat in summer and early winter conditions (November) and the spring conditions are in my opinion the most pleasant conditions (if the snow is hard, the temperature low enough, and you like to climb with crampons).